Using only card, to cleverly encase the chocolate egg, this modern take on an Easter chick is simply delicious. For those that are not into chocolate, perhaps these beautiful glass gift jars of liquorice eggs are more to your taste. Stunning packaging design form and product combine in eloquent harmony. 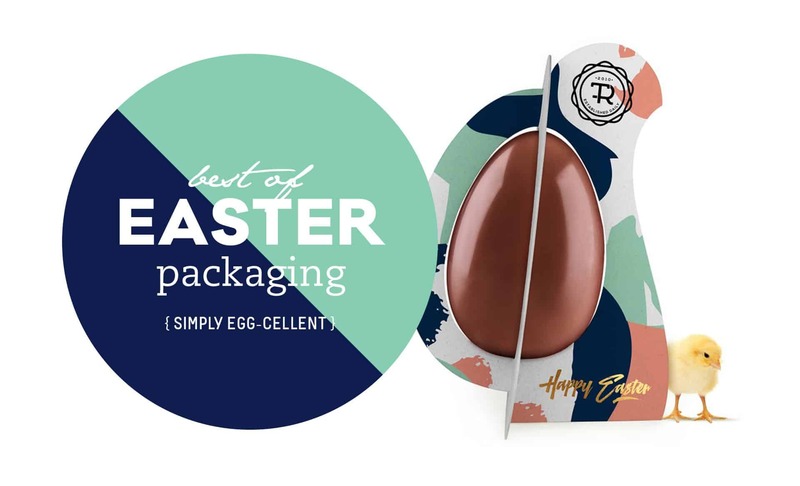 A simple colour palette, geometric shape, logo and clear packaging sound simple enough, but these chocolate eggs make a luxurious statement. What's better than a chocolate egg? A chocolate caramel sandwich! Perfectly packaged to enhance the delicious novelty factor. Definitely one to put a smile on your face. Brilliantly moulded chocolate egg, housed in a gorgeous gift package- simplicity and elegance at it's damn finest.